An oil rig leaving Harland and Woolf after maintenance. The Stenaline HSS fast ferry to Stranraer. 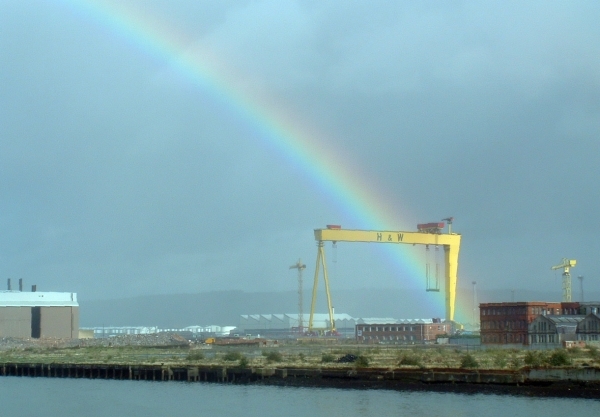 There's a ten storey crane at the end of the rainbow.